An ancient Chinese tale about the origin of the universe says long ago, the body organs of Pangu, the legendary ancestor of Chinese, transformed into everything in the cosmos including the sun, moon, stars, mountains, rivers, oceans, and creatures. Chinese people believed that Pangu's left eye transformed into Fuxi (or Phoebus, the Sun God), and his right eye, into Nvwa (or Phoebe, the Moon God). There is a long established rule in China linking males to the left and females to the right. 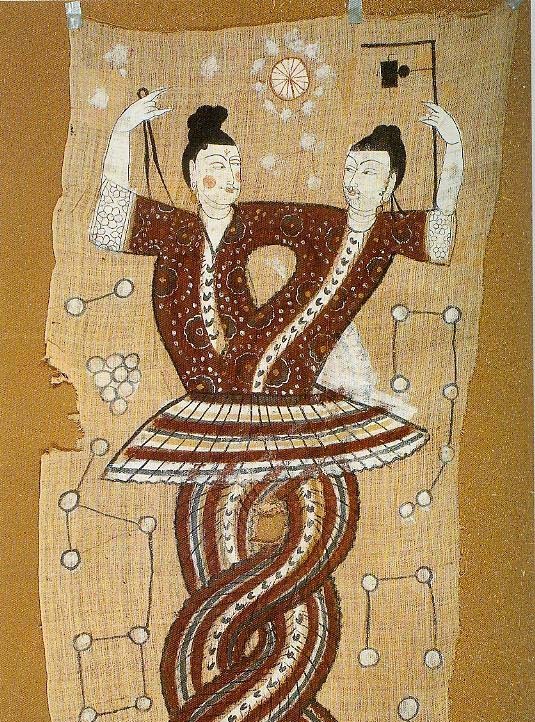 The idea of "male on left, female on right" is closely related to China's ancient Yin-Yang principle, which holds that opposing concepts like big and small, long and short, up and down, and left and right are interdependent and interchangeable. According to the Yin-Yang principle, "big," "long," "up," and "left" are male Yang concepts connoting activeness and hardness, while "small," "short," "down," and "right" are female Yin concepts connoting passiveness and softness. In terms of gender personality, males tend to be tougher and females more tender. Hierarchical philosophy permeated throughout Chinese culture in feudal times and orientations were no exception. The Yang orientations of south, east, and left were revered, while the Yin orientations of north, west, and right were disparaged. With the development of modern society, this convention has gradually lost its hierarchical connotation, but the established habit carries on naturally and can be seen in every aspect of social life. At public toilets, the men's room is more often than not on the left, while the ladies' room is on the right; newly weds pose for photos with the groom on the left and the bride on the right. Remember not to stand on the wrong side!